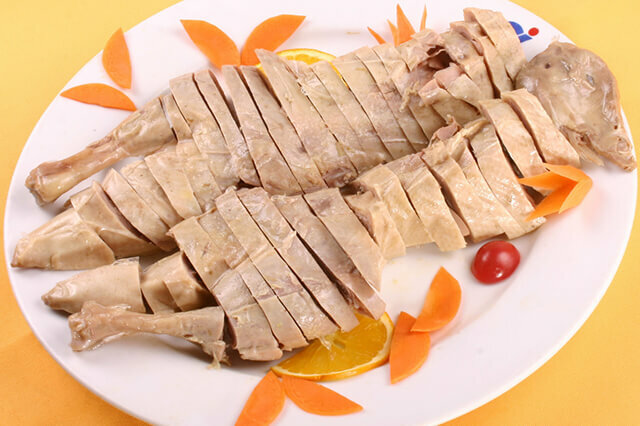 On behalf of Nanjing cuisine, Nanjing Salted Duck, the famous speciality in Nanjing, Jiangsu Province, symbolizes the characteristics of local geographical area in China. 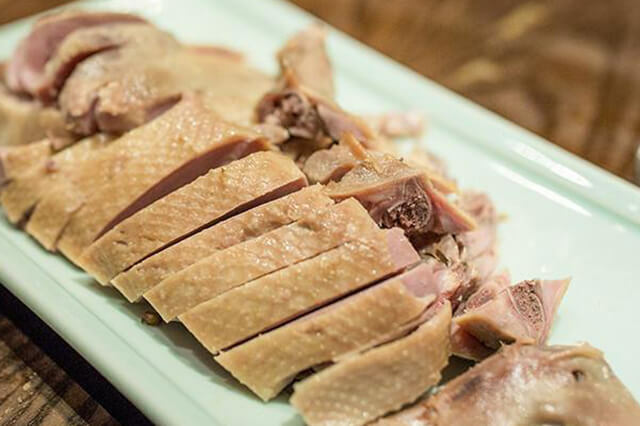 On behalf of Nanjing cuisine, Nanjing Salted Duck, the famous speciality in Nanjing, Jiangsu Province, symbolizes the characteristics of local geographical area in China. It enjoys good reputation with the long history of over 2,500 years. Located in the middle and lower reaches of Yangtze river, Nanjing has northern sub-tropical humid climate with four distinct seasons and adequate rainfall. Traversing Yangtze River, Nanjing has over 11% water area covered with numerous lakes and reservoirs and intertwining rivers, which makes it suitable for ducks growth. The selected salted ducks born in spring and growing in summer must be scatter-fed between hills and waters, feeding on aquatic plants, clams, fish and shrimps. They must do lots of exercises who tend to be thicker and tighter. 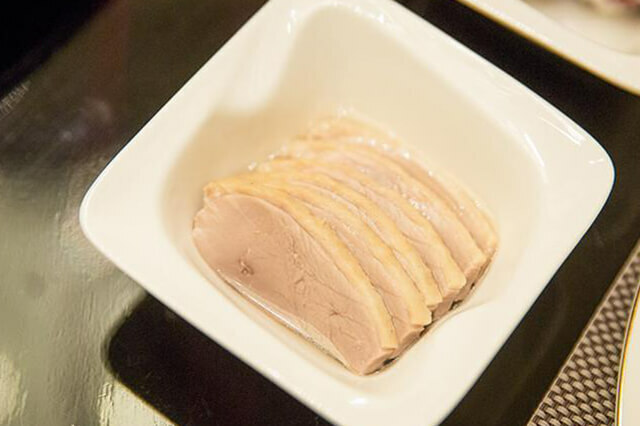 The making of Nanjing salted ducks has a long history, with plenty production experience. 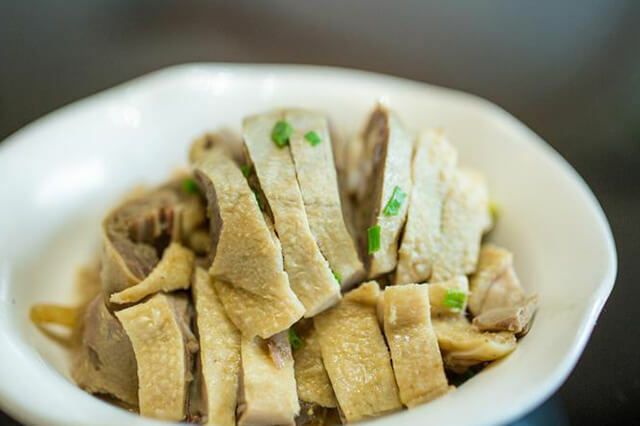 The top-quality salted duck owns three characteristics: white skin, tender flesh, fat but not greasy, tasty and palatable. The figure is plump with fresh luster, white oily skin, tender and reddish flesh, lite but flavour. Due to it characteriscs of the smell, fresh and tender, one still like it even if he has eaten for many times. It has been studied that salted ducks have 92 pleasant flavors like almonds and nuts. Mixture of these different flavors forms the special flavor of salted ducks, making it become a scented famous city card of Nanjing. 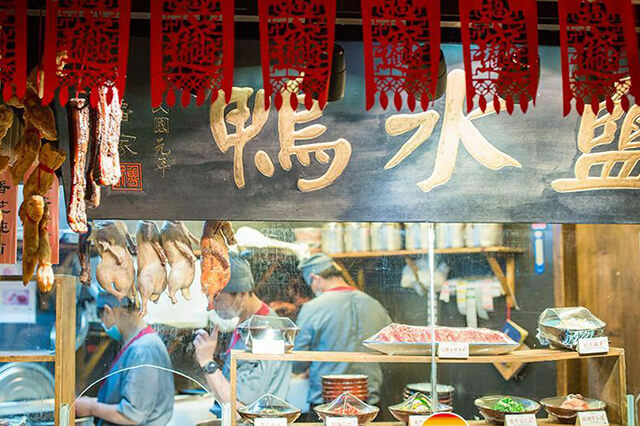 Now in Nanjing, there is one salted duck shop almost in every street.